I have tried so many times to write my concluding part of the 2016 US presidential elections but just kept losing interest no matter how many coffees I drank. After much reflection I now know why. The two major candidates represent the past and will both help the richer half of the population get richer and leave the other 50% of the population stagnant or scrambling for the few extra breadcrumbs thrown their way. Having made the tentative leap to a new generation with Obama in 2008 and confirmed in 2012, the nominated 2016 candidates are a retreat back to caveman and cave-women politics! The November 2016 presidential elections loom as a ponderous choice between a lackluster establishment candidate, who is also the first female contender from the two party stable of American politics, and an outsider who clearly lacks common morals and ethics but champions populace policies that are very attractive to a sizable minority of the US electorate. In many Western societies in the new global world, it is the poorer half that bears the brunt of the radical international economic restructuring due to globalization. There are winners and losers in this restructure – the rich are getting richer while the poor stagnate. Many stagnating voters are beginning to snarl. However, developing and Third World nations seem to be prospering in this new environment. They are catching up to the Western standard of living. It seems a curious quirk of fate that a candidate representing the richer half of society, the Republicans, is attracting a significant number of demoralized or snarling voters from the poorer half of society. However frightened or demoralized voters do not resort to logic when looking to solutions for their perceived problems. For example, I recently encountered an enthusiastic supporter of Trump. Though she acknowledged Trump’s unsavory sexual caveman antics, what she was more riled up about was the continuation of the same old thing represented by Hillary Clinton. This Trump supporter does not have a university background, does not understand economics, had a vague and shadowy understanding of history and represented many working class voters. What she did know was that she was being duped by the ongoing collusion of government with business (without clearly articulating this concept) and that this ongoing collusion greatly benefited the richer half of society with little noticeable trickle-down effect upon her life or the lives of her friend. Trump was perceived by her as outside of the ‘corrupt’ political system and she believed he represented her best interests in bringing change that will benefit her. It is always important to understand opposite points of view because the huge majority of people of all political persuasions believe wholeheartedly that they are sincere in their beliefs and they only want the best outcome. Denigrating people with different political views comes across as a rejection of their sincerity. But they know they are personally sincere, so they perceive that their attackers (political opponents) are their enemies because they treat them as underlings. The only real difference in economic outlook between the supporters of Bernie Sanders and Donald Trump are their solutions, otherwise it is chalk and cheese with nearly every issue. If you focus upon the superficialities of the 2016 US elections and many world events you may be dismayed or confused – but if you examine the astrology behind this reality you will see this is part of an arc of a much bigger story. For voters on the Right, Trump is their lasting hope to restore the “greatness” to America while to voters on the Left, Trump is a crass neo-fascists. Voting for Hillary appears to be nothing but a vote against Trump. This is obviously Hillary’s greatest asset in this election. Both sides are depending upon fear for their support. This does not mean it is a waste of time voting, and any election requires serious reflection by the public but the astrology strongly suggests that the public will be dissatisfied either way. In this Cancer time, the public is usually dissatisfied with their leaders. On the dark side of Cancer is fear. Brexit was instigated by fear. Many countries are building walls or erecting barriers on their borders to prevent ‘illegal’ immigrants and refugees from entering their countries. Other countries and Trump are proposing the same. Many people fear those that are different either due to religion, language, skin color or anything that can possibly differentiate one group of people from another such as people with AIDS, leprosy or whatever. This fear was exemplified by Clint Eastwood in the 2008 movie Grand Torino when an aging American Korean War veteran had to confront having an Hmong family from South-East Asia living next door. There are always many people in most countries that are fearful of ‘outsiders’. Governments and political parties around the world cultivate this fear for their own purposes. (see Gemini’s Role in our Modern World (or Battle of the Brains). In a Cancer time, (Capricorn) leaders are scorned, ignored, repudiated or denounced by the (Cancer) general public who see their (Capricorn) leaders as their (7th house) enemies. However from the perspective of ‘leaders’ this Cancer period rules their 7th house as well so they can go on the aggressive offensive. This is why we see the pitiful spectacle of the 2016 presidential contenders’ cat fights. Furthermore, these contenders are no longer upholding their democratic right of the viewpoints of their opponent. No matter which candidate wins, the Cancer public will be offside. It is a no-win situation. However, both Hillary and Trump do represent different sides of Cancer. Cancer favors females, so in this regard, Cancer gives Hillary and edge as the potential first female president. Cancer also rules mentally unstable people, and while no one would suggest that Trump is mentally unstable, he does come across as politically unstable. Surprisingly, this instability gives Trump an edge as it aligns with Cancer. Unfortunately for Trump, half the voters are female but half the voters are not so keen on an unstable candidate. There is nothing new to say about this election that I have not already published except that this is probably the last election where both candidates are firmly focused upon yesterday’s world. The next election will not be an election for the policies of yesterday because the world has recently entered a 10 year Aquarius sub-period overlapping the 10 year Cancer period (both of which are derived from 5 year decans of a micro-age – see Age of Aquarius for Dummies for more details on the internal structure of ages). This new Aquarian period is the strongest Aquarius influence any Baby Boomer or later generations have ever experienced and harks back to the 1920s and 30s when Aquarius was very strong (see This is the Dawning of the Aquarius Micro-Age Decan for more details). However, it is not until mid-2017 that this new Aquarius period will gather more strength but by 2022 it’s a new Aquarius heyday. However, in the meantime, the arrival of any new period will have an immediate impact, and in this election, this new Aquarius impact was represented by Bernie Sanders and Donald Trump on opposite sides of the Aquarian coin. Both had revolutionary and politically eccentric messages that galvanized many supporters. Aquarius can temporarily supercharge any situation. Aquarius, like all zodiacal signs, has positive and negative archetypes associated with it. Most starry eyed idealists see a magical idealistic Age of Aquarius yet if this was the case, every Aquarian you know would stand out as superior to other signs. This is not the case. Aquarius is definitely associated with democracy, freedom and liberty (on a good day) but also fascism, dictators and destructive revolutionaries or anarchists on a bad day. Adolph Hitler was a perfect example of a fascist dictator appearing when Aquarius was at its last peak in the world, but that peak was three times stronger than the current Aquarius blip which has just arrived on the scene. The new Aquarius period is still in diapers. Under Aquarius, many people are attuned to be ‘electrified’ by a charismatic leader who will bring back greatness and any other quality they feel is missing. On the neo-fascist side of Aquarius the means they adopt to achieve their goals do not have to be fair, democratic or rational because their aim is so “pure”, they are above the normal ethics and law that prevail. This is why so many Filipinos support a president who has legitimized extra judicial murder by the police force against people involved with illegal drugs. There is no suggestion that Donald Trump is a fascist of the same stature as Adolph Hitler, but he and his supporters promote some neo-fascist policies. This is why Trump stated in one debate that he plans to appoint a special prosecutor for the purpose of putting Hillary in jail if he wins the election. Also, denouncing or persecuting minorities of any type, such as Mexicans, is another standard approach from the fascist bag of tricks. Most modern Western countries continue to deploy a range of neo-fascist policies by promoting fear amongst the population. The most interesting aspect of the 2016 US election is not who wins but what this implies about the future of the USA (and the world) in the second half of the current century. A major Aquarius sub-age decan arrives in 2029 which will be in full swing by 2089 but seriously picking up speed as early as 2059. Our little Aquarius period this decade is a preview of the end of this century! The astrology suggests that the Bernie Sanders preview is what is in store for the USA but Trump is the preview of those nations with less entrenched democratic ideals. A good current example is the political situation in the Philippines and Poland. In the last two presidential elections I have analyzed the birth micro-age decans of the contenders and made a prediction of who would win based on the relationships between the birth micro-age decan and the ruling micro-age decan at election time. However, Trump and Hillary were born so close together that such an analysis cannot be used to differentiate between them. Both were born in the Capricorn-Sagittarius Pre-Boomer generation (see Generational Astrology – Part 2 Pre-Boomers (Cap-Sag) ). The two former presidents from this generation were Bill Clinton and George W Bush. On the 29th January 2012 I posted on a Facebook group “This election is starting to look like a landslide win for the Democrats regardless of it being Sanders or Clinton”. Furthermore, the tide of change is sweeping the world, and with this tide, progressive politics is favored over conservative politics until November 2029 (but only in advanced democracies). What this means is that every US presidential election until 2029 favors the Democrats. This does not automatically mean that the Democrats will win every presidential election until that date. However, the post Second World War years at a minimum indicate that when a party wins a presidential election when the wind is technically blowing in the other direction, the incumbent president hits far more headwinds than normal (see table below). The only two presidents that this applies to is Richard Nixon, who resigned from office, and Bill Clinton who was unsuccessfully impeached. This means that in the unlikely scenario that Trump won, expect some serious opposition to his presidency and possible impeachment. Finally, I am not only a macro-astrologer but also a Vedic-Western fusion astrologer. Vedic astrology employs a predictive technique called Vimshottari. One of the most difficult dasas within the Vimshottari system that anyone must navigate is the 18 year Rahu dasa (Moon’s north node in western astrology). About 80% of people experience a serious loss near the beginning or end of this dasa and Vedic texts often state that a person loses at the end of this dasa all the gains they have made during the dasa. Trump’s Rahu dasa concludes on November 14 2016. This does not look good for Trump! Furthermore, Trump’s Rahu (the dragon) is in his 10th house tightly conjunct his Sun. Trump is in his dragon period where he feels he can open his mouth and with his fiery outpourings – burn away all opposition. Who dares to challenge the almighty dragon? Well, his Vedic chart strongly suggests that his fire is about to go out. Hillary is in her Sun dasa. Will Trump’s Rahu eclipse Hillary’s Sun? Extremely unlikely. In this new 10 years Aquarius period, which overlaps a 10 year Cancer period, Aquarius sorts out the sheep from the goats. Those countries with shallow democratic ideals entrenched within the population tend to regress to anti democratic and neo-fascist governments or policies with fear the common underlying sentiment. Entrenched democracies tend to push forward into a higher evolution of democracy and liberalism but not without a serious reaction by some elements of society. What suffers in this process is the middle-of-the-road approach as mainstream values are aligned to Leo, the sign opposite in quality to Cancer. So while the 2016 US presidential election is mainly affected by the correlation to Cancer, it is also experiencing an input from Aquarius. Most Western countries are experiencing a rise in neo-fascism amongst a sizeable minority of their populations, but it is extremely unlikely that a country like the USA, with such entrenched democratic and liberal ideals, will succumb to this rising tide. Countries like the Phillipines, Thailand, Poland, Turkey, Hungary and so on do not have this entrenched democratic ethos and are more liable to tip towards neo-fascism. The 2016 US presidential election is really just a bit player in this larger game. In conclusion, the 2016 US presidential is not really about who will win but an act in the ongoing struggle towards a more evolved liberal democratic outlook facing growing resentment by a sizeable minority of people in advanced democracies against this evolution while in less democratic environments, the reactionary forces are stronger and neo-fascists forces will temporarily dominate just as they did in Germany, Italy and Japan in the early 20th century. It certainly will be an interesting world towards the end of this century when the Aquarius input is four times stronger than the world experienced in the first half of the 20th century and 12 times stronger than the current Aquarius blip! I am again attending the Ubud Writers & Readers Festival (26 – 30 October 2016 www.ubudwritersfestival.com) in Bali, Indonesia – the nation with the largest Muslim population in the world. In a number of commentaries by distinguished writers, journalists and organizers, the common theme was presented that currently in the world government policies and election campaigns are no longer about facts and information but (Cancer) emotions. Even if a candidate makes a statement that is categorically incorrect or a lie by the ‘fact checker’, this means nothing. In a Cancer time, a significant number of people are not interested in facts but are only willing to emotionally respond. Another interesting insights gleaned from the festival is that the new neo-fascists politicians such as Duterte in the Philippines, Putin in Russia and Trump in the USA (and many others around the world to a greater or lesser extent) have the ability to ‘electrify’ their supporters. Electricity is associated with Aquarius – the other key sign currently gaining traction in the world. Germans reportedly were ‘electrified’ by the speeches of Adolph Hitler in the previous (stronger) Aquarius period. However this time around, these fascist-orientated politicians are being democratically elected! This new Aquarius micro-age decan (Dec 2014 – Dec 2019) has seen the rise of the new breed of petty neo-fascists around the world, though this time around, they mostly are obtaining power through the ballot box. It comes as shock and horror to many people that a huge number of people prefer mini-Hitler clones to solve their problems. If you want to know how the 1930s fascists came to power, just observe how a significant number of the US electorate will vote in November 2016. History does repeat itself! On the other side of the coin are Aquarian visionaries such as Bernie Sanders. There are two sides to all zodiacal signs including Aquarius. Most astrologers think the Age of Aquarius only manifests good Aquarian archetypes and keeps the bad Aquarian archetypes under lock and key. This is called Pisces delusion. In the USA, the new Aquarius micro-age decan has manifested in Donald Trump’s triumph in securing the candidature for the Republican Party’s presidential nomination and Bernie Sanders failed attempt to gain the Democratic Party nomination. However all periods in macro-astrology have a yin-yang aspect. For example in any period, such as the new Aquarius micro-age decan (Dec 2014 – Dec 2019), there are some anti-Aquarius times but mostly Aquarius is (yang) strong. This means that while any archetypal activity associated with Aquarius is promoted in the Aquarius micro-age decan, in some parts, not only does this not happen, it can even breed anti-Aquarian sentiments, but only temporarily. Donald Trump and Bernie Sanders took advantage of the new Aquarian sentiment of the times and each launched into their specific versions of revolutionary outlooks that basically represented both sides of the Aquarian coin. However recently, a poison apple appeared in both camps. The current Aquarius micro-age decan (Dec 2014 – Dec 2019) contains four nano-ages of approximately 15 months each. Currently the world is in the Aries nano-age (March 2016 – June 2017). But here the plot deepens because if we drill down into the little Aries nano-age, it has three nano-age decans of approximately five months each. Currently the world is in the Leo nano-age decan (August 2016 – January 2017). There is a little sponginess with the exact month these very small periods commence and end due to the erratic nature of precession of the equinoxes. Nevertheless, this little Leo period can temporarily upset the intentions of the much larger Aquarius micro-age decan. This is what has happened and continues to happen. Bernie Sanders dropped out of the Democratic race on the 26 July, at the nebulous cusp of the beginning of the Leo sub-period. Trump’s campaign has hit serious headwinds from August onwards. For example on October 7, 2016, The Washington Post publicized a recorded conversation about Donald Trump and Billy Bush having “an extremely lewd conversation about women” in 2005. This was a pivotal turning point, not for the diehard Republicans who would eagerly back Dracula if necessary, but it affected many of the undecided voters who decide the election. Leo periods favor the mainstream over extremists. This new Leo sub-period definitely swings public sentiment away from Trump, and this anti-extremist sentiment grows with every passing week – it technically ratchetted up into second gear in the last week or so. It will be at full strength by January 2017. The electorate is fickle and changeable, especially when the primary micro-age decan in force is Cancer (Aquarius is currently the secondary micro-age decan present but will become the primary micro-age in mid-2017). These nano-age decans hidden deep within the astrological ages are potent and have clear correlations to evolving developments in the world on the month-to-month level. The anti-extremists Leo nano-age decan will knock Trump off his already tenuous perch. It’s just bad timing for Trump and a godsend for Hillary. We should also see some other petty neo-fascist leaders temporarily experiencing greater than expected opposition in the current Leo sub-period – especially in the ‘overflow’ period from January to March 2017 and even up to June 2017. It’s hard to feel sympathetic to Putin, the Thai military junta, the Polish, Turkish and Philippines presidents, just to name a few of the petty neo-fascist leaders in the world today. However they will be again in full swing by mid-2017 at the latest. But in the meantime, they will have to deal with stronger than normal opposition to their petty tyrannies. It must be remembered that while the petty tyrants, and pretenders to the throne such as Trump, grab the headlines, there is much activity on the other side of Aquarius. Bernie Sanders may get quickly washed down the drain hole of history but his spirit is representative of the coming world according to the incoming Age of Aquarius. Just because the tide is coming in does not mean each wave moves further up the beach, but on average, the waves do move further up the beach. There are many people desperately trying to stop the incoming wave of the Age of Aquarius but while they can win some battles, they cannot win the war. But this struggle will be played out over the next century and a half and even longer in less developed countries in the world. It’s the grand theme of our times. 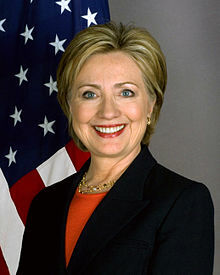 I had the first inkling of flaws in my assumption of Hillary Clinton winning the presidential election about one week before the election, and on November 6th I published on a number of Facebook sites “The Scorpio Lunar Month & the US Presidential Elections” (see www.facebook.com/Macro.Astrology). However, my mindset was so caught up in the prevailing view that it was impossible for Trump to win the election, that I did not heed the warnings of such a simple and elementary thing as the full moon only days after the election. This full moon in Taurus is located in Trump’s 10th house of fame and prestige and located in Hillary’s 7th house representing her opponent (using whole sign houses). The lunation cycle and full moons are generally overlooked by the huge majority of astrologers who are always hypnotized with the natal horoscope. Every full moon behaves like a mini-eclipse. Its effects are not limited to the actual few days that the full moon is in the actual sign where it occurs, but it spreads its wings for a number of days either side of the exact full moon. It has personally affected me as the November 2016 Taurus full moon falls in my 4th house of anti-status, thus I am still digesting my hat. Many astrologers correctly forecasted the election of Trump. 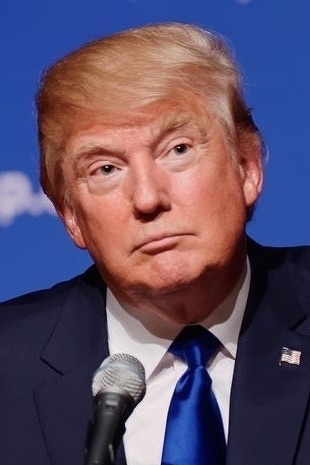 The following list (which is probably incomplete), lists astrologers who correctly predicted Trump winning the election: Anil Aggarwal , Steven Birchfield, Barry Goddard, Lisa J Gordon (aka Lisa Lazuli), Hossein Heidari‎, (Steve Judd), Sharon Knight, Inderjit Singh Kallirai, Sachin Malhotra, Peter Novak, Krasi Serguieva, William Stickevers, Ming Wang and Theodore White. It is always more difficult to pick the correct winner when the winner appears to be the outside chance plus with politics, it appears that 90% of astrologers are biased towards left wing or progressive political persuasion. Therefore congratulations are definitely in order for these astrologers with the correct predictions in difficult circumstances. A friend of mine stated after the election that a lot of hats are being eaten. Though I had a late inclination that something was wrong with my expectation of a Clinton victory, it was too late. I succumbed to the old enemy of accurate predictions – I succumbed to my own political bias. I am totally aware of my political bias, and I actually try to counter-balance this bias, but in this case, my bias won. At every point of analysis in weighing up the pros and cons of the positive and negative astrological influences, I gave Hillary the benefit of the doubt. So it is totally appropriate that the November 2016 Taurus full moon is located in my 4th house – how appropriate! For those non-astrologers, the 4th house is ‘anti-status’.